Last year Crisis and Critique devoted an entire an issue to the 50th anniversery of Reading Capital, collecting seventeen contributions from the leading scholars on Althusser and his pupils. Here Agon Hamza and Frank Ruda, the editors of the journal, sit down with Pierre Macherey, a student of Althusser and one of France's leading philosphers about his contributions to Reading Capital and the book's contributions to the intellectual life of the left. 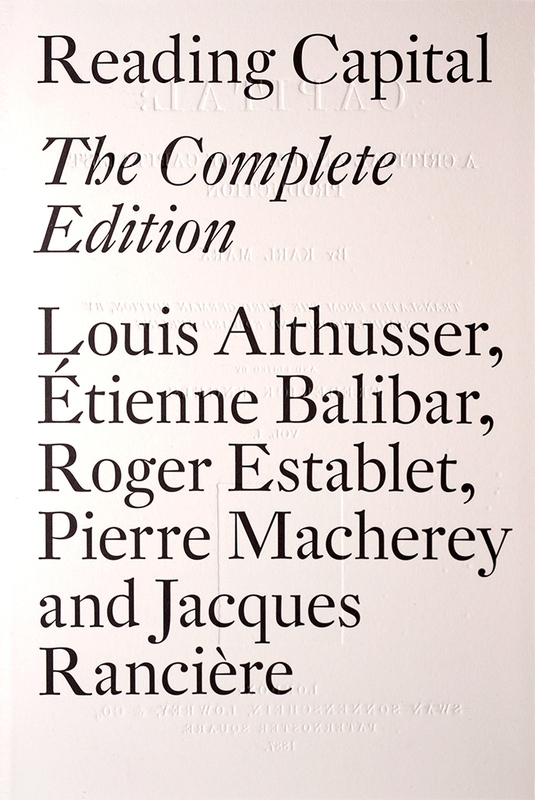 Reading Capital: The Complete Edition — the first unabridged English translation of the collective work, including contributions from Balibar, Louis Althusser, Jacques Rancière, Pierre Macherey, and Roger Establet — is out now.To celebrate its publication we have 50% off all of our Althusser books until Monday 25th July! Pierre Macherey in 2012. Via La vie des idées. Can you tell us a bit about the project of reading Capital at the École Normale Supérieure (under the direction of Althusser)? The manner in which it was initiated but also about your own engagement within this project? PM: Initially it was a research seminar, following those that Althusser had organized in the years before for the students of the École. The theme of this seminar was “Capital” and the very particular problems that reading this book posed, which was, Althusser thought, unlike others not really “introduced” in France, that is to say, if it was, this was only on the basis of a whole series of misunderstandings that were linked to the political history of French society and to the manner in which the workers movement was developed and organized within it that this book was directly of any interest. This project covered thus two territories at the same time: one was academic (it was a matter of knowing if this work of Marx is open to a “philosophical” reading, of the type that one was for example able to apply to the metaphysical Meditations of Descartes), the other was more conjunctural (it was a matter of evaluating, through the particular case of the reception of Marx in France, the possibilities of a socio-political change, in the sense of the revolutionary Veränderung of which he speaks in the Theses on Feuerbach). It was not self-evident to follow these two goals together: the only way to arrive there was to practice a way of moving that was free, open to paths of diverse research without any preconceived idea. This is what happened: the seminar took place in the usual manner, everyone provided his own contribution in which he invested his own competences, his curiosities, and his own interests; this is why there was a certain heterogeneity in approaching the problems that came up without any worry of completely resolving them, in some way seeing what happened and in each and every case proceeding in a largely improvised manner. When, in the following year, Althusser decided to assemble the texts that were presented in the framework? of the seminar to make them appear together as a volume in the “Theory” collection, in which he had just published his “For Marx”, he himself had to try to give a more systematic appearance to this disparate ensemble, whose heterogeneity generated a richness that was not without a certain qualitative dissimilarity between the diverse contributions, as it is the case with any research that is conducted in a group. To this end Althusser had written afterwards, that aimed to give this collection the appearance of a book that forms a coherent whole, the long introductory text entitled “From Capital to the ‘philosophy’ of Marx” where the hypothesis of the “symptomal reading” is introduced, constituted the central theme of this text. This new presentation considerably changed the former spirit of work, which, in this moment, followed the logic not of a system but of a trial, in the sense that it was a free exploration whose goal was not fixed from the start. For my part, I had presented a contribution “On the process of the exposition”, which dealt with a particular point, as well as, in the background, with the general question of the “beginning in philosophy”: this was a working sketch that I had formulated back then in preparation for a PhD in philosophy with Jean Hyppolite, at that time head of the ENS, who sympathetically followed the movement of Althusser and his students. This contribution proposed certain hypotheses that could not pretend to present anything of a completed nature: it was the typical move of an advanced student who, after years of preparing for exam after exam, threw himself into personal research which, as soon as it had begun, was far away from attaining any definite results. Now, with fifty years of distance, I reread this contribution and I saw all its imperfections, which stand out all the more because it survived in a context which, in itself, had taken in reality or in appearance a much stronger consistency than my reflection at that moment was able to attain, that is, by the way, had not even sought to do so. When, afterwards, I was presented under the title of “co-author” of Reading Capital, I could not avoid feeling a certain malaise, for, to be honest, when I intervened in this enterprise at my level, this was not so much as an “author” per say, but, and this is not exactly the same thing, as a contributor. 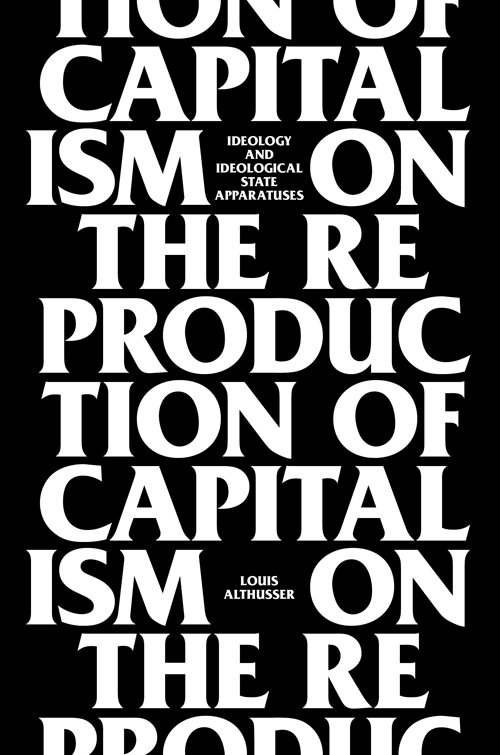 Actually, Reading Capital does not have but a single author: it is Althusser, who because he had collated this book on the basis of work-documents that had been sent to him, generated a completed oeuvre for which he bears the complete responsibility. What were the effects of the publication of this book in the intellectual scene in France at these times? PM: When it was barely out, the book generated a lot of interest because of the new tone it conveyed and because of the relative novelty of the themes it took on in a form which avoided as far as possible to resort to the stonewalling language of the university, which rendered it accessible to the general public. Particularly, it was engaged in the discussion on humanism, which at the moment of its publication had turned virulent. The “intellectual scene” at this time, as you called it, was dominated by the dawn of structuralism and by the decline of a certain Sartrianism. 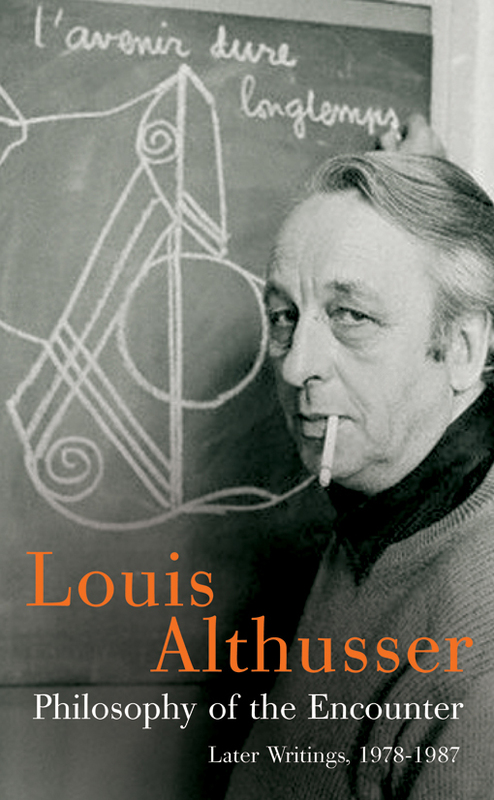 In this environment, the manner in which Althusser linked philosophy and politics under the label of “Theory” could appear to be original and provoked a fashion, even a passion which lasted just until 1968, when he came to be the target of attacks, which in the following years came from all fronts and became more and more vehement: he himself inflected his move, preparing to clear the traces of any theoreticism, that infected him. But, and this is the most important point, the effects that “Reading Capital” produced have largely overflown the French “scene”: its diffusion was also quite broad, especially in Latin-America; the book was translated pretty much in all languages (with the exception of Russian and Chinese!) and the movement was never interrupted: it even goes on today. If this book still exists today and was even metamorphosed into a sort of myth, it was because of this international audience which received it quite rapidly and which subtracted it from the all-too French debates, making even more noise while unfolding itself in a kind of fish bowl, in an auto-referential manner. Could we speak of an Althusserian moment in French philosophy? Could we say that the publication of “Reading Capital” and “For Marx” created such a moment? Or do you think, on the contrary, that such a characterization is problematic? PM: If the moment existed it did not last long. But the force of Althusser has survived this moment: his reception was taken beyond “Reading Capital” and it remains fundamentally open for any new research perspectives. His principal preoccupation was to arrive at another way of doing philosophy, by taking it outside of the closed frame of academic speculation and in particular making it benefit from the provisions that came from the human sciences, he was one of the first to do this in France. It is this concern which traverses the whole of his work and gives it a unity, in spite of the quite disparate character of his interventions. For him, philosophy was thought returning to itself, not in the empty heaven of pure ideas, but in a certain conjuncture, in view of producing practical and political effects: from this point of view, the author that had guided him as much as Marx did, which had constantly preoccupied him, is Machiavelli, to whom he dedicated many texts, which apart from their obvious incompleteness, are very interesting. It is regrettable that they are rarely known and studied. If seen retrospectively, could you clarify to us the way in which you would characterize the singularity of Althusser’s intervention, primarily in the political context of his time and his impasses, but maybe also the philosophical and scientific novelty which this moment has produced? PM: From the very beginning Althusser was shifting in relation to what you call “his time”, which he tried to overcome in revolutionary spirit. He wanted, and this is what is often explicitly repeated, to “make things move”. Did it happen? Yes and no. His attempt to give a new spirit to the French Communist Party by means of philosophy failed manifestly: and what had limited his approach is probably the fact that he made of the PCF, which was already on the verge of its decline, the principal target of his interventions. From this point of view, I think that he proved a certain blindness. He ought to have searched for other interlocutors, rather than the political heads, whose visceral workerism and the corporatism, which was its correlate, was the grounds for all its fundamental moves, that they were totally incapable of renouncing, which ended by costing them a lot. In the properly French context the political assessment of Althusser is thus far from generally positive. But one must not imprison oneself in this context, whose constraints he knew to force. In spite of the drift in which he dragged in for personal reasons, that he himself depicted in his autobiography “The Future Last Forever”, which was published after his death, he arrived difficulty at times, and even with more and more difficulty, to rebound and relaunched his move in new directions. It is this constant relaunch of his thought that never fixated on definitive acquisitions that bring about the principal interest in his work. For Althusser, Marxism was not a closed doctrine but a field of investigation, a “continent”, whose exploration Marx had begun, but which he was far from accomplishing the tour. And the effort of Althusser had been precisely to push further this exploration, to displace its lines, to make its theory while moving within it in the sense of what he called “theoretical practice.” At first, his idea was that what is lacking in Marxism is philosophy, and it is precisely this philosophy of Marx, which Marx himself did not develop, whose contours he had started to outline in his “For Marx”. Then he emphasized a new type of problem with respect to the notion of ideology, a question to which he attributed, as Gramsci did, a primordial importance, but which he took on with different instruments (and particularly those which were provided by psychoanalysis). He had understood that it is not enough to criticize ideology for its theoretical weakness: one also has to try to consider it from the point of view of its practical effects, which makes it into what one should call an acting social force and not only into something belonging to the “superstructure”, a veil of illusion that lies over reality and masks it. And then he sought to tackle another lacuna in Marxism: its forgetting, its denial? of the problem of subjectivity. What type/kind of subjects are needed by capitalism? What kind of procedures of subjection does it use in the framework of the very social relations it installs? This interrogation lies at the heart of the text on the ideological state apparatuses, which is to my mind with “For Marx” and his works on Machiavelli the grand contribution of Althusser to contemporary thought. This unfinished text, which to a great extent is enigmatic, today still has a great force because in another language it intersects with the preoccupations that were at that time those of Foucault and Bourdieu. 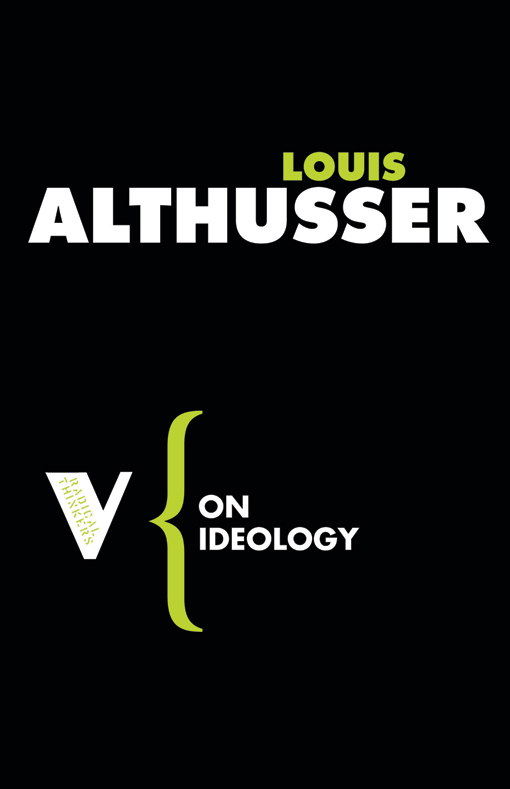 If there is today still an interest in reading Althusser, it is in this direction where one should turn. There was a particular sort of contemporaneity between Althusser’s interventions on one side and Lacanian psychoanalysis, the French rationalist epistemologies and the new spirit of Maoism on the other. At which point, according to you, was “Reading Capital” related or itself conditioned by these other practices? PM: The relations between Althusser and Lacan were grounded in the beginning on a misunderstanding, tactically assumed by each of them: it was just simply the case that for circumstantial motives they needed each other at a certain moment, which created an apparent complicity between them, of which they personally were not fooled. But very quickly, it became manifest that their interests were not situated on the same level and were even rather divergent. What is real here is Althusser’s constant interest in psychoanalysis: this interest made him into a kind of UFO in the world of French Marxists and particularly in the mind of the communist heads for whom Freud was the devil in person, the incarnation par excellence of bourgeois ideology. One of the goals of Althusser was to make it understood that Freud enabled a better reading of Marx, not because the one or the other are saying the same thing, but precisely because of their undeniable disparity which is fertilizing, intellectually stimulating, creating new ideas. Regarding the epistemology that was at that time practiced in France and that I prefer to call historical epistemology rather than rationalist epistemology, it was essentially represented by Bachelard and Canguilhem, whose writings interested us enormously and which we read certainly in a quite tendentious way. Retrospectively, I realize that Canguilhem, who has played a very important role in my own formation, must have been astonished by the way in which we interpreted his works, drawing on them in a sense that was not the one he himself decided to start from (he was on the side of Neo-Kantianism, which then blended into Nietzscheanism, an explosive mixture! ): but, as he was a very open spirit, he did not oppose this interpretation and even partially authenticated it in his book “Ideology and Rationality in the History of the Life Sciences”. As for Maoism, in the largely delirious forms that it took in France, this is an extremely complicated matter: the relation Althusser had with this movement to which he was in certain respects and in certain moments quite close, had been constantly tense, traversed by suspicion and by unfounded accusations. I would be tempted to say that they were formally of the same nature as those which, on the other side, Althusser had maintained with Lacan, of whom one nowadays understands that he was the great conservative thinker of this time, which does not at all diminish the interest that one can have in his writings. 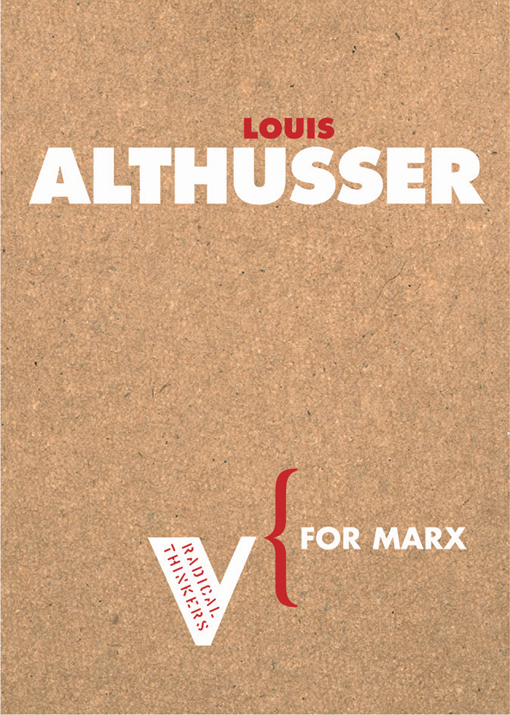 Althusser began inter alia by emphasizing a hypothesis according to which the Marxism of his time developed by a problematic representation of Marx. That is to say, he did not only seek to reinterpret Marx – bringing to the fore a new reading of him and a new method of reading – but it also was at the same time important for him to transform Marxism in its totality or as such. Later in his life, he considered his philosophical project a failure. Would you confirm Althusser’s judgment? And if this is the case, what kind of failure are we here dealing with? If not, how could we defend his project, even against his own evaluations? PM: There are failures, which, if one considers the other side of the page, where they are consigned, are successes. That the attempt of Althusser, who by the by does not display a homogeneous character and is not self-enclosed upon himself, has not led to results that could be considered to be definitive absolutely does not bother me, on the contrary. 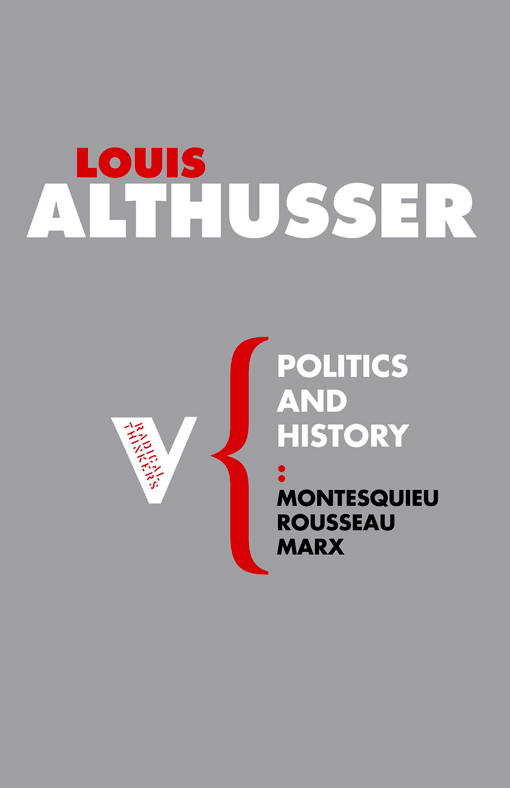 If Althusser is still interesting today it is because he had put into circulation a certain number of problems which had been of little interest before him. Certainly, he was not the only one to do this in his time. There was Foucault, Bourdieu, to whom I just referred; there was Deleuze and Guattari, Derrida, who did not employ the same thought-instruments as Althusser and who launched, on their part, lines of investigation whose orientations, without converging with it, intersected in certain points with those followed by Althusser. There is today someone like Judith Butler, who has revivified the question of subjectivization in new ways, between psychoanalysis and politics. What one has to do is to confront these approaches, to make them react each against the other, to see what comes out of them being put into relation. I believe there remains a lot to do in this sense. How can we conceive of the object of Capital today, under the view of all the things that changed in the 50 years after “Reading Capital”? PM: The book of Marx seems to me more than ever topical, under the condition that one undertakes a very close reading, using optical instruments in a different manner: rereading Marx in the light of Foucault, for example, is a particularly fruitful undertaking, as I have explained in the study “The productive Subject”, which I reprinted in my book “The Subject of the Norms”. From this perspective, the project that was initiated by Althusser in “For Marx” still has a meaning, under the condition that one renounces to consider Marx as the author of a thought sui generis, coherent and final, which is only possible if one drastically simplifies the expected outcomes. Althusser was often accused of dogmatism, while for him Marxism was an approach completely without doctrinal character. In presenting work hypotheses that were very innovative under the sensational name of “theses”, he contributed to the creation of the conditions of this misunderstanding: but one has to try to read between the lines, to make a symptomal reading of it, which tracks down what is not-said, the lacunas, from a perspective of relaunching them. This being said, knowing how to conceive the object of Capital today, as you ask, cannot but be the result of collective research, which has today begun from different sides, but that is lacking a unifying element. What is painfully missing today in the sphere of theoretical research is a culture of collective labor, which allows for renewing the disparate threads. For my part, I think that this should be done in a different way than what one calls the “return to Marx”, as if Marx is going to “return”, with the posture of the supreme savior: return, this means a return backwards and this is hardly exciting. It is clear that one can no longer read Marx today as one read him fifty years ago, which would among other things, mean that one has not learnt anything in the interval. The task that one has to set for oneself and it is far from simple, is to reinvent Marx, a new Marx, who responds to the questions of our time, to that of globalization, the importance of which he had himself perceived at a moment when this phenomenon had hardly begun to appear, but that today is raised on another level, with an intensified urgency. Do you think that we are able to perform a symptomal reading of “Reading Capital”? And if so, what might such a reading reveal to us? What are its displacements and lacks, given the fact that Althusser never used this concept in his later work again? PM: If there is a reading to be done of “Reading Capital”, fifty years after, as I have just said, it cannot but be, symptomal. That is to say, consistently detecting in this enterprise its non-said, its lacks, its flaws, and attempting to understand what these are saying without saying it, or even it must take us to think beyond what is explicitly stated. This is the only means to go further and to satisfy the actual exigencies in a world that is in full transformation: this happens so quickly that one barely knows where on is in it. It seems to me that Althusser, if one performs a critical reading of him and not a pure memorial celebration, can still supply a certain number of conceptual landmarks and elements of intellectual stimulation in which to situate oneself. How could the Althusserian theory of a new science of history be developed in view of the new conceptual means developed by recent sciences? PM: One cannot today ascribe the same value and the same weight to the word “science” that one could 50 years ago. The sense of this word is displaced. It is clear that the theoretical use that one made of it back then served as a kind of cover, to guarantee legitimacy and truth. One cannot see things like that anymore. 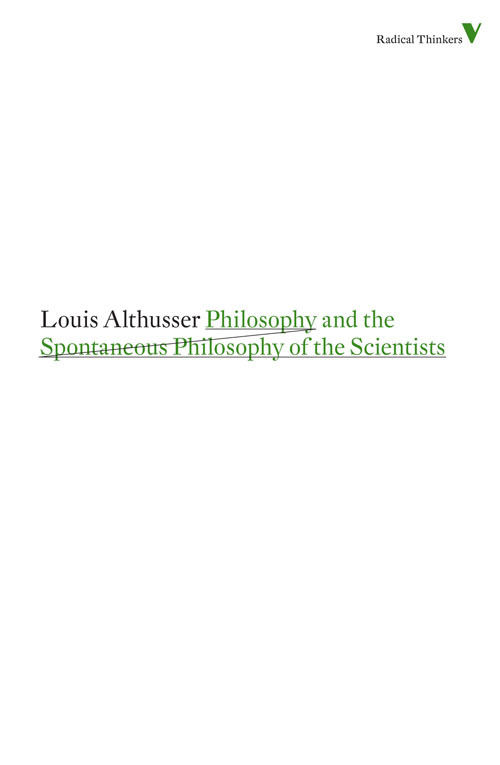 Althusser, not without a certain brutality, tried to eliminate the frontier between science and politics, which is how he, without being aware, renewed Platonism: this attempt assigned, at least one can interpret it in this way, a powerful position to the regime of the Idea, making of society, albeit imperfect, an incarnation of spirit. This was not reasonable. Yet, is there nothing left of a “science of history”?” What can be saved perhaps is the representation of history as one continent of an entirely separate reality, with its own necessities that are called modes of originary conceptualization. Someone like Foucault, who is quite Nietzscheian, mistrusting the reference to science, has gone quite far in this direction and I think that it might be interesting to turn to this side to revivify the research in this domain of society and its history, a research to which Marxism has a lot to contribute.